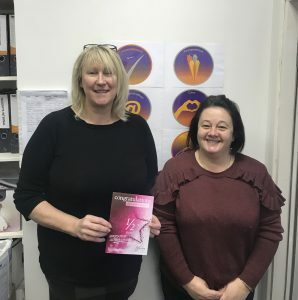 Stoke Branch Manager, Sue Noon and Senior Care Coodinator, Zoe Rafferty have been on slimming world and in the first week Sue has lost 7 lbs and Zoe has lost 6 1/2 lbs!! 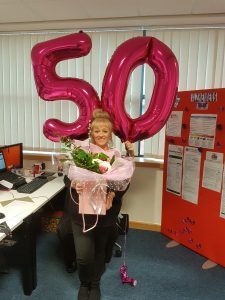 Joanne Savage, Knowsley Village Co-ordinator celebrated her 50th Birthday on the 15th, happy birthday! All the very best, Tracy! 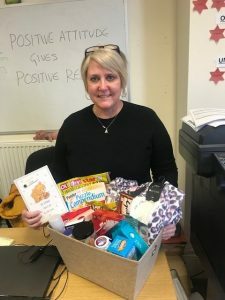 Everyone at Sleaford Branch would like to wish Tracy Pallett all the best in her upcoming operation. She was presented today with a hospital pack complete with all the essentials to keep her occupied and looked after while she’s recovering. We wish Tracy a speedy recovery and can’t wait to have her back with us in branch!